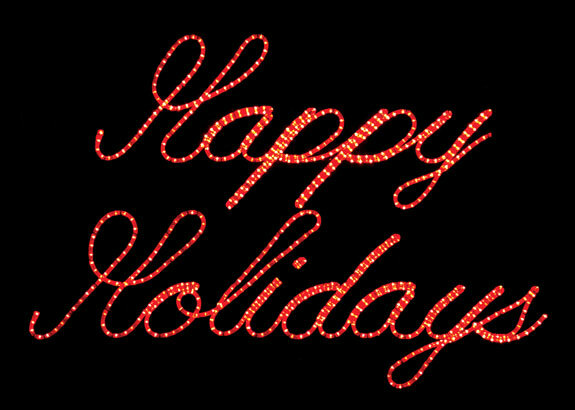 To give a merry greeting here is a red rope Happy Holidays in script writing. Approx. 22 lbs. ; features 654 RL Bulbs. Can be hung stacked (portrait orientation) or landscape.